You have people who want to hear your voice. They look forward to reading your latest post, seeing your latest photo, or following you around the world as you visit new and interesting places. Your followers look forward to having you as a part of their lives because you are interesting, intelligent, funny, authentic, relevant, and an image of who they would like to be. You have the power to really influence people to make positive changes in their lives. You are amazing! Now that you have reached this level, you may be asking yourself how you can leverage that influence to reach a higher peak of success than you already have. Of course, if attending NYFW, being invited to awesome parties, and getting free stuff is what your goal was, you can stop here. You made it! But … I think you want more. You want something more than just waiting around for businesses to notice you and contact you. You want to be proactive and to make your own success. You want a solid income. You want to be taken seriously. You want this business to be what takes you and your family to a higher wealth level. You want to contribute meaningfully to your family. You want to be an example to your children. You want to become everything you were meant to be! Come along with me. Let me show you how you can build this business and have the lifestyle you always wanted. Make intelligent decisions regarding the structure and system of your business. Diversify your business so that you can be making money 24 hours a day, 365 days a year. Have more balance in your life. Work less and make more money. Become a true business mogul. You can do it! There is a way. Can I start with this idea? YOU HAVE ALREADY PROVEN YOURSELF! You may have started this business as a hobby, with the dreams of someday making it into something you can live off of. You probably didn’t initially realize how much work it was going to be, but as your blog or Instagram account has taken off, you have seen the potential that is there, and you love it. But, you have also wondered if you really have what it takes, and you have questioned yourself and your abilities. You have to read this book through the eyes of someone who can see their true potential. Read it and think of where you can be six months from now. Visualize yourself quitting the 9 to 5 and running your business as the CEO. See yourself traveling and enjoying life a bit more. See yourself not worrying about money and paying the bills. See yourself as someone who can be as generous as they want. 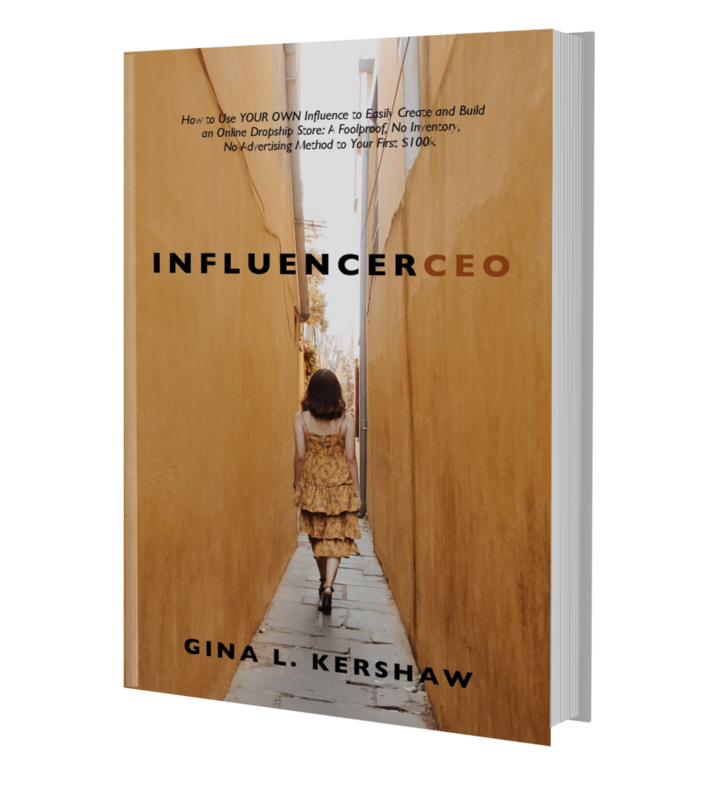 See yourself mentoring and helping other influencers stabilize their business models too. Now feel how rewarding your life is. This is what you can have. It is definitely not easy, but it is not hard either! You just have to be willing to trust and believe in yourself. Look where you have come from. Look what you have accomplished. Do you even realize how many people look up to you and want to hear your voice? Check your number of followers. That should give you a good idea. I bet there are even more people than that. You have proven that you are a leader - in fashion, in style, in fitness, in wellness, in mothering, etc…. whatever your platform is. And people trust you. Are you ready? Let’s start with a few business basics.